It’s a shock to see one of the pillars of American foreign policy start to disintegrate before our very eyes. That’s what seems to be happening to the relationship between the United States and Turkey, which policymakers in both countries have taken for granted for decades. I know it’s often said that formal alliances are losing their central place in international politics. If so, maybe the bad blood between Ankara and Washington is just part of a trend, something we wearily adjust to. But it feels more momentous and damaging than that—like something we’ll regret for years to come. Not so long ago we thought of Turkey as a unique strategic asset in the twenty-first century—an ally that joined real democracy and a Muslim heritage. The combination seems to have turned negative. In Turkey, we now hear, national identity and mass politics make the United States more unpopular than in places where friendly autocrats keep anti-Americanism under control. Of all the members of the G-20—the group that added fast-growing emerging powers to the old G-8—Turkey is the only one whose relations with the United States have deteriorated since Barack Obama took office. It was the only American ally to vote against new sanctions on Iran in the U.N. Security Council last month. 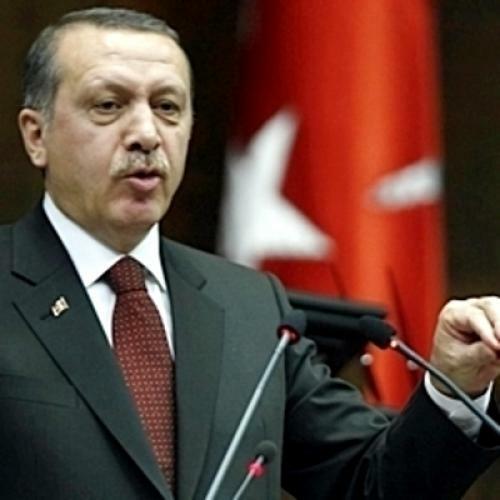 And even before the famous flotilla left Turkey for Gaza, Prime Minister Recep Tayyip Erdogan had dissented from American diplomacy in the Middle East, treating Hamas as the true voice of Palestinian nationalism. The United States does not often face a challenge like this—a broad disagreement with a major ally, rooted in both domestic politics and clashing geopolitical aspirations. We’re more accustomed to dealing with insecure allies, who want us on their side. Our problem with the Turks is not their insecurity, but their confidence. They want us out of their way. I first got a feel for that confidence—and where it might lead—when I met Erdogan in 2002, shortly after he formed the AK (Justice and Development) Party and before he became the dominant figure of Turkish politics. He had come to the States to meet with American officials, journalists and think-tankers, and to introduce himself, despite his party’s Muslim-traditionalist platform, as a political moderate in tune with Western ideas. In those post-9/11 days, bold talk about Islam and modernity was the coin of the realm, and one person around our small table put the question starkly to our visitor. Won’t Muslim democracies, he asked, inevitably elect people like Osama bin Laden? Erdogan had a powerful answer, more ominous and sweeping than I realized at the time. Bin Laden, he said, might win elections, but only if he were running against the King of Saudi Arabia. To act wisely in the region, the United States had to understand this. If we thought democracy would reinforce the status quo in the Middle East—give it legitimacy without changing much—we were certain to be disappointed. Only modern politicians in touch with the people could defeat the Islamists. Years later, this little speech still frames the challenge that Erdogan poses. He claimed to know, better than we, how to deal with a fundamental problem of U.S. foreign policy. But his outlook puts him—and if we follow his logic, us too—at odds with some of America’s closest friends. Washington, of course, has its ways of showing displeasure over minor tiffs, and the administration is already bringing them to bear on Turkey. Last weekend, after Obama and Erdogan met during the G-20 summit in Toronto, the White House said they had had a “wide-ranging and candid” (presumably meaning "really terrible") conversation. State Department officials have publicly warned that “people [are] asking questions” about where Ankara is headed. Privately, they say they want the Turks to begin to feel the costs of what they’re doing, including by a cutback in official contacts. Such gambits—from starchy politesse to the diplomatic silent treatment—can be effective in resolving second-order problems. With luck, American disagreements with Turkey will turn out to be just that. But if not, we will probably see the White House adopting one of two more serious responses, each of which has a place in the history of American alliance management. The first is what we might call the “de Gaulle model”—full-bore demonization, with heavy emphasis on the psychological origins of our adversary’s behavior. This is how the Kennedy and Johnson administrations reacted to the president of France in the early '60s, treating his idea of national “grandeur” as personal neurosis and his desire for foreign-policy autonomy as anti-American spite. Secretary of State Dean Rusk considered de Gaulle a “devil with horns.” Washington is already just a few steps from seeing Erdogan this way. Each of these strategies had its logic, but also its risks and costs. The “de Gaulle model” showed American firmness, but lost France as a full NATO partner for decades. The “Brandt model” kept us one step ahead of our German ally, while leading many to wonder whether the alliance was needed in the first place. By the time détente finally collapsed, many Germans said it was our fault, not Moscow’s. As Washington tries to deal with a wayward Turkey, few U.S. officials will attempt to defend their preferred strategies by invoking the treatment of de Gaulle or Brandt. But that’s what they’ll be talking about—two different approaches that pose a high risk of further weakening American influence. We need to understand where those models went wrong–-and to think about how to do better.